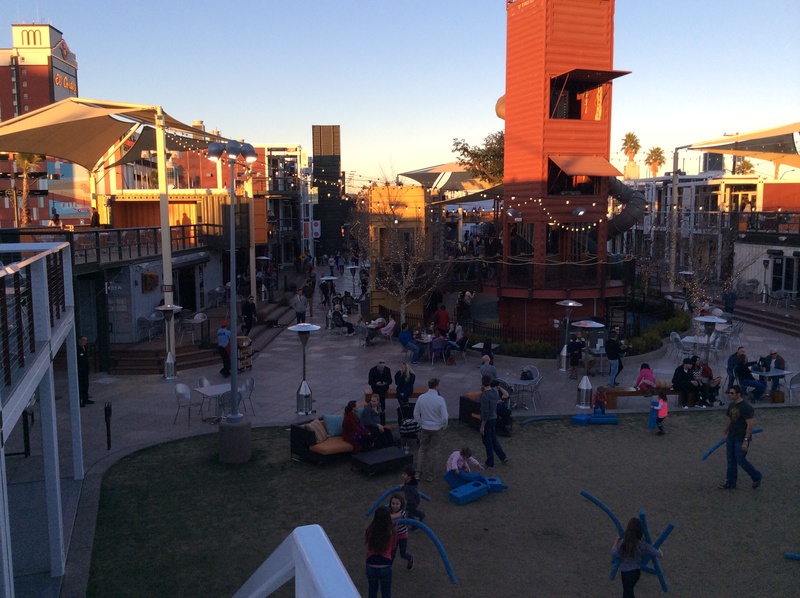 The Downtown Container Park opened in November 2013 and offers an eco-friendly place for families. Located at Fremont St. and 7th. St. in the Downtown Las Vegas area with metered parking adjacent to the park. 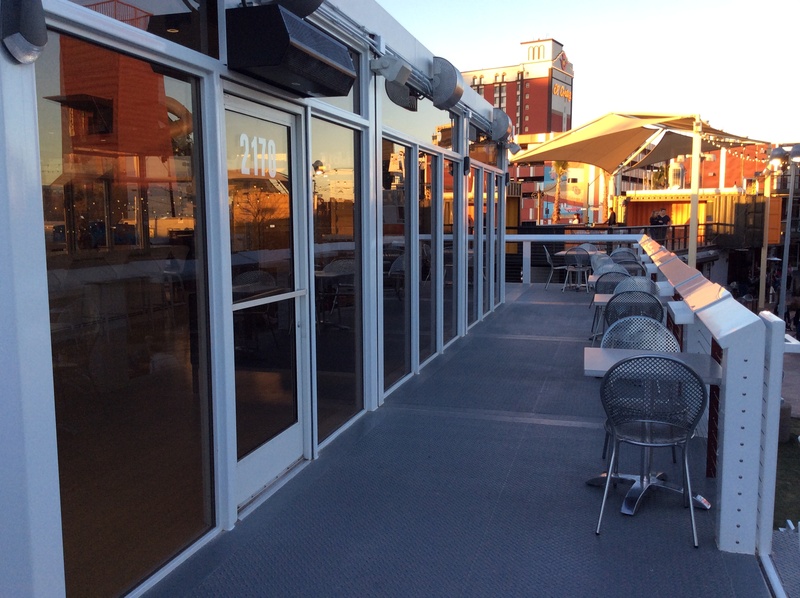 Their collection of stores and restaurants are built from repurposed shipping containers. In the heart of the park, there is a kids playground with a treehouse and 33-foot tall slide. While the kids are playing, the adults can have a drink at The Boozery. 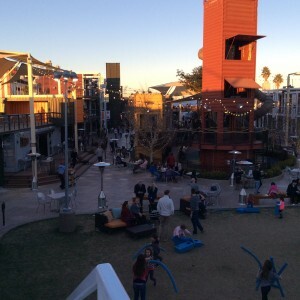 In addition to all the shop, dine, and play areas, are two event areas that are available for parties. The ‘Lawn’ is the open grass area in front of the stage and close to the treehouse. A great outdoor space for birthday parties or a nice family get-together. The other area is called the ‘Cube Event Space’ located on the second floor close to the Lawn. 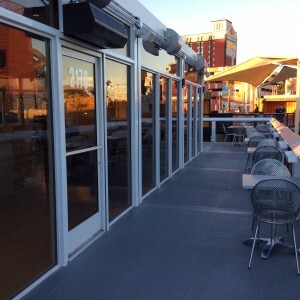 The Cube Event Space offers a chic event space for private parties with outdoor and indoor areas. 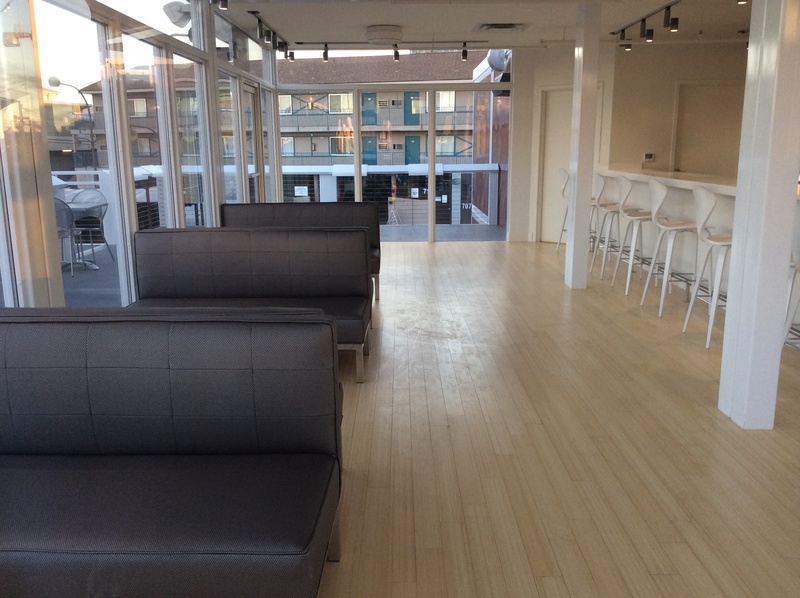 The inside area includes a bar, wall-mounted flat screen TV, sofas and counterstools. 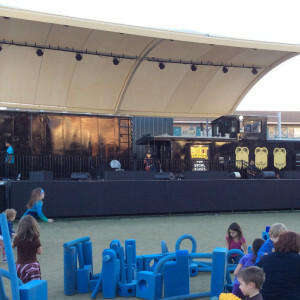 If you are standing outside the Cube Event Space, you would be able overlooking the Lawn and the stage. 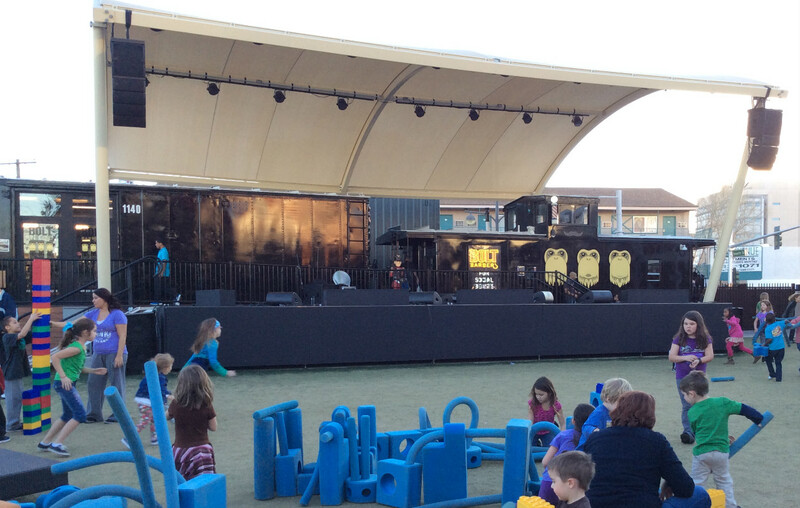 The Downtown Container Park is a nice option for families to get together in the Downtown Las Vegas area. 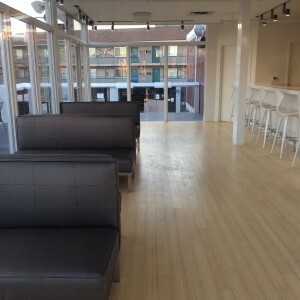 Looking forward to planning private parties here! As we go through the first full week of 2014 together, the holiday meals are really settling in and we start looking forward to the rest of the year. As I am catching up with many of my brides after the holidays, the number one thing on my brides’ minds and my mind is something along the lines of “I need to lose some weight!” Everyone has their own recipe for weight loss and I wanted to share what (who) helped me lose 15 lbs before my wedding. Three months before my wedding, I asked my friend, Kathi Kulesza, who is a Body Transformation coach, for some advice. Kathi sat down with me to analyze my diet and exercise schedule. To no surprise, I lacked the necessary amount of protein and exercise. Kathi is also a Herbalife Distributor and she gave me a few protein powder samples to try. I enjoyed the ‘cookies and cream’ flavor the most. I committed to the diet and exercise plan Kathi prescribed (to the best I could), and successfully lost the weight I wanted for my wedding. There is really no big secret – a 110% commitment to a healthy diet and an exercise plan. If you already have a plan, and/or a personal trainer, hang in there, you’ll get there soon. If you are struggling to lose that extra weight and need some help, feel free to contact Kathi Kulesza. Below is some brief information about her and her mission. At the age of 45 she turned her health and fitness around. Kathi joined a gym, implemented a healthy lifestyle and a healthy relationship with food, lost 40 pounds, got fit, and is now in the best shape of her life. After spending the better part of her career in the hospitality industry both in operations and marketing, Kathi chose to build a new career around her passion for wellness and fitness supporting others in their journey. Kathi is a Certified Transformational Life Coach, Personal Trainer, Certified Group Fitness Instructor, teaches group fitness classes at a popular local gym, and she leads a free Wellness Course & Weight Loss Challenge. Let’s start losing it – one pound at a time!